 Pockets of [ ] is an interactive drift and assemblage montage randomly and collaboratively generated through collected gifts and referrals. Y.M. 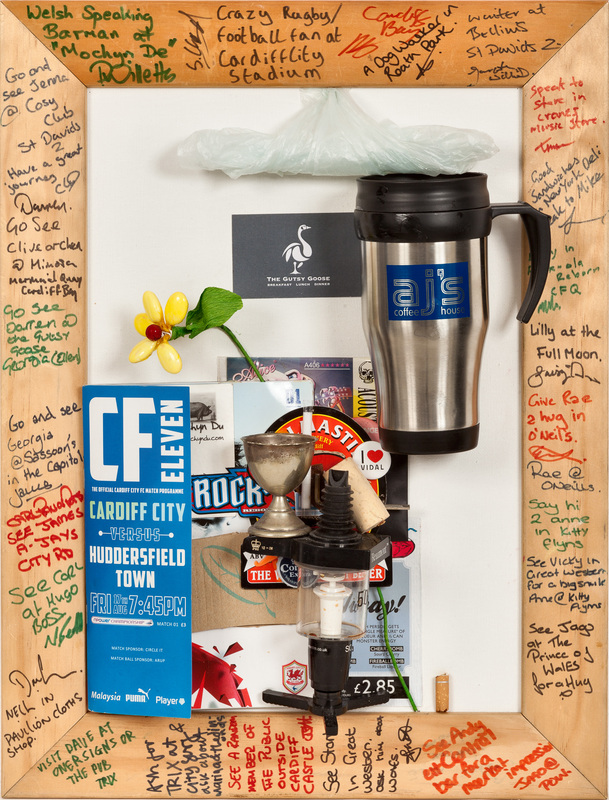 a Big Issue Seller, and the first person to approach me in Cardiff, gave me the first pocket in Cardiff to visit; I was directed to begin my exploration at the Millennium Stadium and told to approach any staff I found working there.